Home Featured blogs Cloud Computing The Rise Of IoT: How It Will Drive Growth To Cloud? 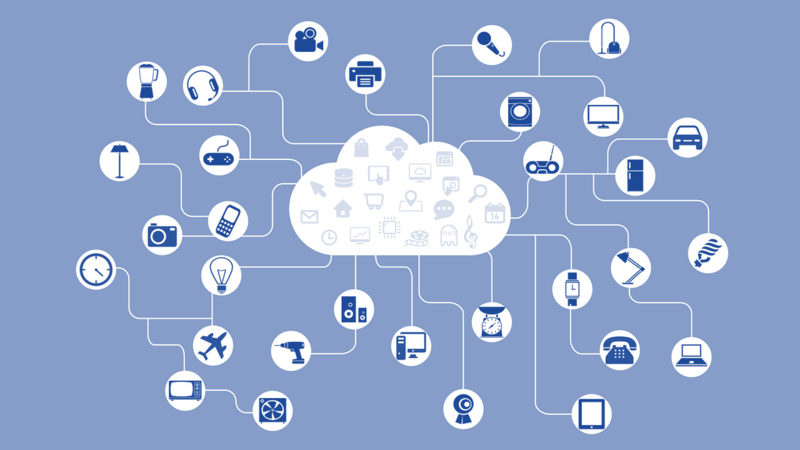 The Rise Of IoT: How It Will Drive Growth To Cloud? The Internet of Things is growing and is on a rise. Businesses, government, consumers are realizing the profits of connecting inert devices to the internet. The interconnectivity of all devices and appliances, at home or at office is termed by IoT. According to BI Intelligence report, conclusions were made as to what things will drive growth in IoT and how consumers will embrace IoT innovations. One of the largest device markets in the world will be Internet of Things. It is projected that IoT will be double the size of the combined market of tablet, PC, smartphone and wearable market. By the end of 2019, value addition to the global economy by IoT will be around $1.7 trillion. 8% of the total revenue from Internet of Things specific efforts will be realized from hardware sales. As a larger portion of the share will be grabbed by infrastructure companies and software creators. The IoT sector will be leaded by enterprise sector as device shipments will account for more than 46%. By the end of 2019, leading sector for IoT device shipments will be government sector. The growth of IoT will cause lower costs and increased efficiency. Common set of standards and regulations which ensures compatibility and ease of use is still lacking for IoT. To run an IoT deice, very few norms and regulations are established. Regulations and norms should be established to solve the most insistent security issues. A lot of cloud based announcements were made by many companies in the annual Consumer Electronics Show (CES) in January 2017. From cars to refrigerators and many new devices will have cloud based back end. In the next few years, a lot of cloud based services for devices will see a lot of growth. A growth in compute and storage will also be witnessed to support devices along with advancements in the communication networks. These changes have started happening right now. Witness the number of devices connected to Wi-Fi hub at office which is big evidence as to how technology is evolving. This change cannot take place without using cloud services. Internet of Things requires cloud services to work and cloud will be evolving to provide better support to Internet of Things. Market size of Internet of Things is immense. As per a research conducted by research firm IDC, the global market was valued approx. $1.9 trillion by the end of 2013. That figure consists of everything that was connected to the internet during that specific period. If we talk about last year, developed countries contributed 90% of the revenue which was generated through Internet of Things. However, in the coming years this percentage will decline as countries who are developing and are adopting cloud will lead the way but developed countries will still be the main driver of the growth. Currently, there is comparatively insignificant number of startups in the market of home based Internet of Things compared to Google and other major companies owing a major portion of the market. The IDC research firm believes that many startups will undertake Internet of Things, launching new devices and services in the coming years and will trigger innovation and growth. Targeted marketing has become very much effective which allows promoters to place their adverts to targeted consumer groups which are categorized on the basis of demographics, behavioral changes, psychographics etc. Currently, Google has no plans to invest in adverts for home automated products. However, it is easily going to happen in future. The next time you open your cupboard you will find discount for your recently bought almonds. The Internet of Things is going to create a whole new different sector of advertising. Internet of Things and Cloud Hosting are going hand in hand. The rise in one sector will help growth in the other sector. Dependency relation here seems to achieve great results. Internet of things is already picking up fast speed in terms of growth which will trigger cloud growth. The adoption of cloud enabled devices is one such reason which will help cloud based systems to flame up in the coming years. I am Kelvin Smith, Digital Marketing Strategist. I have over 8+ years of experience in the online, social media, and digital marketing industries, I have extensive exposure to result-oriented methodologies. Expertise in different domains like Domain Name Registration, Cloud Hosting, Data Centres, Dedicated Servers, web hosting technology news & updates and many more.